On September 30, the Northern California World Trade Center will be hosting a summit in Oakland exploring Northern California’s position as a global epicenter of technology and innovation in agriculture, water use, and energy. Hosted in partnership with Global Ties U.S. and the U.S. Department of State, this regional summit will highlight how policy, diplomacy and international trade further economic development and promote cooperation on the sustainable use of our shared resources. 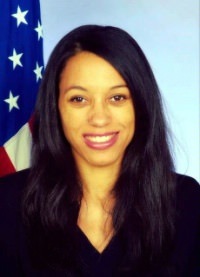 Appointed in February of this year, Karen Richardson is Deputy Assistant Secretary in the Bureau of Public Affairs at the U.S. State Department. Previously, she worked at the White House as Associate Director in the Office of Public Engagement and Intergovernmental Affairs. In this role, she was responsible for developing and managing domestic outreach to NGOs, advocacy organizations, and constituency groups, in close coordination with the White House National Security Staff, to promote President Obama’s position on a broad range of foreign policy issues. Deputy Assistant Secretary Richardson was also an advisor to Senior Advisor Valerie Jarrett on international issues. Learn more here. Council chief of staff and top mayoral aide to Jerry Brown, Mayor Schaaf has two decades of public service experience that began while she was a young attorney leading volunteer efforts in Oakland. 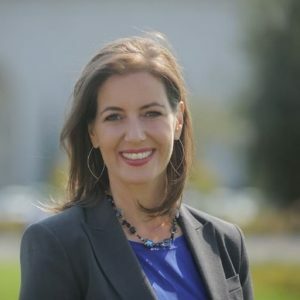 Mayor Schaaf also served as the Public Affairs Director for the Port of Oakland where she helped bring millions in state and federal funds to the city. Mayor Schaaf is committed to promoting Oakland as the greatest place to live, work, play and do business. Learn more here. Arun Kumar leads the trade and investment promotion efforts for the U.S. Government as Assistant Secretary of Commerce for Global Markets and Director General of the U.S. and Foreign Commercial Service. With offices in more than 100 U.S. cities and in 72 markets around the globe, he also serves as the International Trade Administration’s lead official advocating for better market access for U.S. exporters. Prior to his nomination by President Obama, Mr. Kumar was a Silicon Valley entrepreneur and founding CEO and CFO of three technology ventures. He also served major global clients and emerging Silicon Valley ventures as a partner and board member of KPMG, LLP. Learn more here. Panel discussions will feature the thought leaders and experts who make up the region’s most innovative businesses and organizations. An ag powerhouse, California has been the nation’s leader in production for more than 50 years. The state not only shares its agricultural commodities and food products with the world, it is taking the agricultural industry to the next level of productivity and sustainability through pioneering technological innovation. This session will highlight the cutting-edge agricultural technologies and innovation in food that fuel businesses and sustain the world. Water is an issue that cuts across diplomatic, economic, and development efforts. California is facing historic shortages and the world is experiencing an increased demand to meet human, commercial, and agricultural needs. Our panel will highlight the technology and investments in management solutions that are tackling our water challenges and setting examples globally. Policy makers, academic institutions and business leaders across our region are pushing California closer to its zero emission goal. Panelists will highlight Northern California’s role as a global leader in innovative clean technologies and environmental policy while discussing the future of the commercial energy market. Learn more about the summit schedule and featured speakers by reviewing our agenda and speaker bios page. Connect with local and regional leaders working on groundbreaking technology and innovation in agriculture, water, and energy. Expand and develop skills that will help further international exchanges and maximize the impact of every cultural interaction and international transaction. Explore the intersections of diplomacy, trade promotion and U.S. foreign policy goalscontributing to the growth of Northern California’s economy. Stay up to date on the Summit and other events hosted by the NorCalWTC by subscribing to our mailing list. Contact Cortney Grekin at 415-528-3541 or cgrekin@norcalwtc.org or more information.